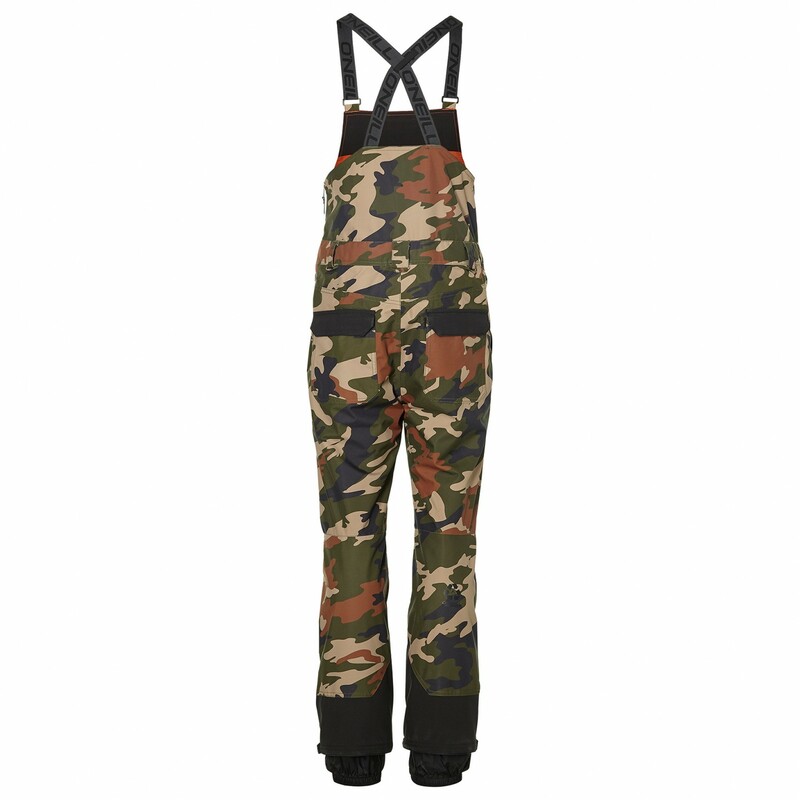 Retro, stylish and functional: the Shred Bib Pants from O'Neill. 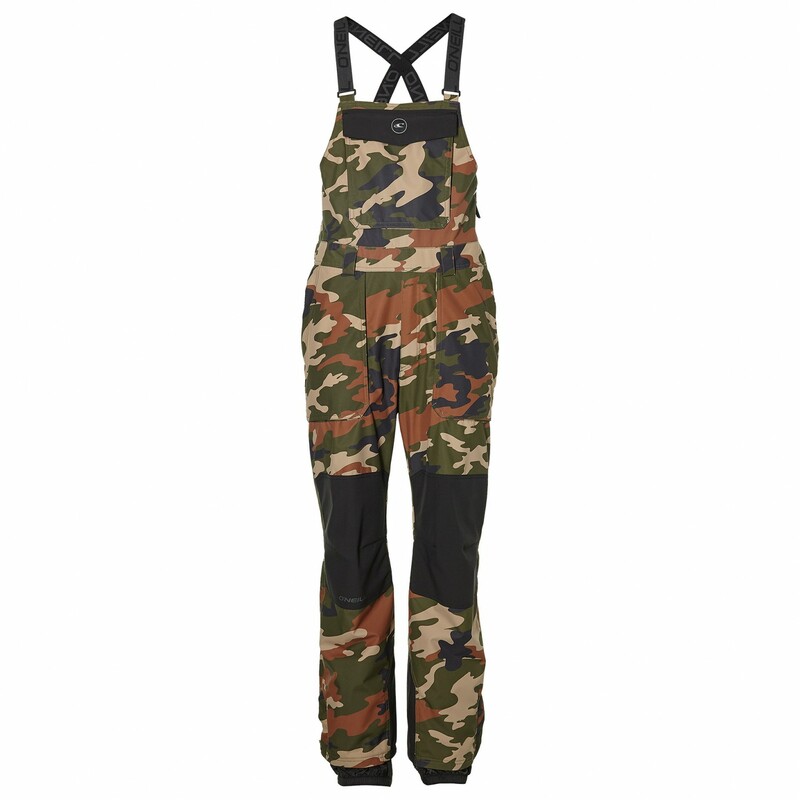 With these ski trousers, you're guaranteed to turn some heads the next time you head to the slopes! The material is made in part of recycled materials and comes complete with critically sealed seams for complete waterproof protection. Plus, the trousers are guaranteed to provide optimal breathability and moisture removal, so you don't have to freeze. Thanks to the stretchiness of the material, the trousers offer full freedom of movement and won't restrict you in any way. For more protection, the trousers have integrated gaiters and a powder skirt to keep the snow out, even when you're skiing in deep snow. The reinforcements at the knees and inside of the legs add durability to the trousers. The bib and braces are particularly comfortable as well, giving you more warmth, comfort and a secure fit with every movement. As for storage, you can store loads of essentials in the large pocket on the front and sides. The trousers have an anatomical fit for comfort and style. Another great feature: you can connect the trousers to a jacket to form a suit as well! 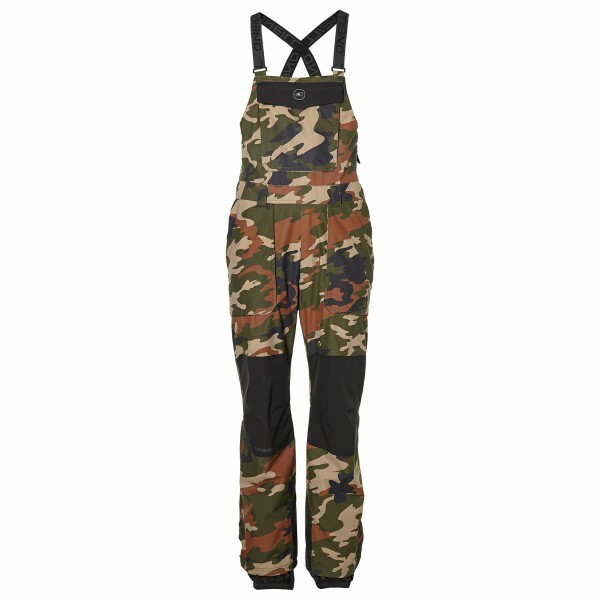 Regardless of whether you're on or off-piste, the Shred Bib Pants from O'Neill will make sure that you're always in control!